NASA’s Cassini probe to Saturn has revealed that the magnetic field of the ringed planet has almost no “tilt” to it, which contradicts previous scientific wisdom about the nature our Milky Way neighbor. Cassini has been diving into and back out of Saturn's atmosphere in order to answer a longstanding question about the planet: how long is its day? In other words, how long does it take the gas giant to complete one full rotation? This seems like it would be an easy question to answer, but it's ended up being more complicated than most expected. 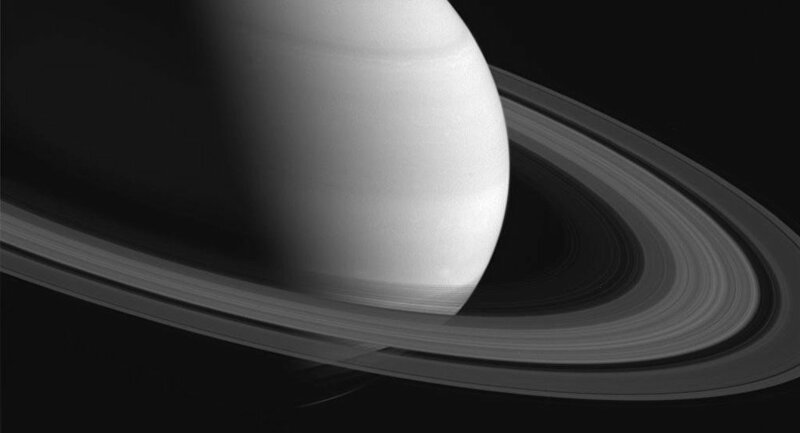 Saturn is a massive ball of swirling gases that make it impossible to simply choose a point on the planet and track how long it takes before you see it again. Planets are surrounded by a magnetic field when they have liquid metals circulating through their interior (iron in the case of Earth, hydrogen in the case of Saturn.) This magnetic field acts as a shield for the planet, protecting it from ultraviolet radiation, cosmic rays and solar wind that would otherwise strip the planet's atmosphere away. Planets also have a rotational axis — an invisible line on which the planet's orbit hinges. For Earth, that axis runs from the North Pole to the South Pole, but since the poles move around some, Earth's axis has a slight "tilt" to it, a wobbling which helps move things throughout the planet's interior. This is a good thing, as it prevents the molten iron from settling within Earth, which would eventually strip us of our homeworld's magnetic field and atmosphere. 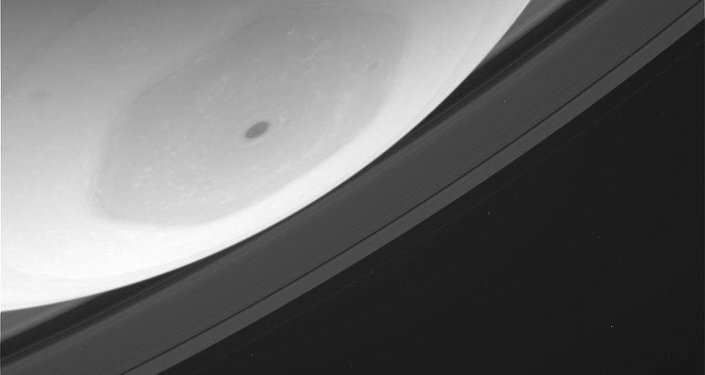 But Saturn's tilt and its rotational axis are almost identical, according to Cassini's new data. Scientists had previously estimated that Saturn's tilt was no less than 0.06 degrees, but they found the tilt level to be much lower than that. Which then raises a major question: why does Saturn still have an atmosphere and a magnetic field? "The tilt seems to be much smaller than we had previously estimated and quite challenging to explain," said Imperial College's Michele Dougherty in a statement. "We have not been able to resolve the length of day at Saturn so far, but we're still working on it." Dougherty and her team believe that the contradiction can be explained through further data collection, with another force in Saturn's atmosphere (19-31 times thicker than Earth's, according to one estimate) being responsible for the continued existence of a magnetic field. Dougherty also praised Cassini, which is in the midst of its "Grand Finale" before its intentional destruction in Saturn's atmosphere later this year. "The instrument and the spacecraft were originally designed to be in orbit at Saturn for four years, and 13 years later we are still there and everything is in really good shape! What we should remember is that neither Cassini nor the instruments were designed to carry out these Grand Finale orbits." "The spectacular science being revealed is a testament to the fantastic spacecraft and science teams that have enabled these Grand Finale orbits to happen," she added. "The observations so far from the magnetic field are very surprising and certainly not as we expected."